Home / How To Calculate Demolition Costs? How To Calculate Demolition Costs? Hughes and Salvidge have been contracting for over 50 years. Our wealth of completed projects range from large, year-long, industrial decommissioning and demolition works, to the demolition of a tank completed in one weekend. All of these projects start their Hughes and Salvidge-life in our Estimating Department. When conducting the pricing of a demolition project, our team have to consider many factors before reaching a tender price that can be submitted to the client. Different types of buildings require different methods of demolition and this, in turn, affects the cost to demolish. Any structure can be demolished with the right method, experience and site team, so the variety of buildings and structures we price is an extensive list. Projects can contain a combination of structure types and require methods such as top down demolition, hand demolition and demolition by explosive means. All of which can vary the price. The number of buildings, the size as well as the structure type are all factors in the pricing of demolition works. 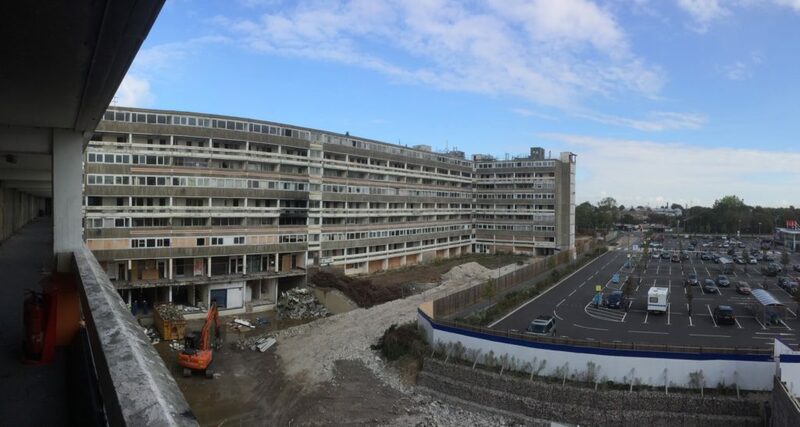 Hughes and Salvidge have a wide range of different projects in our portfolio, including the demolition of a 19-storey block of flats in Hull by explosive means, the decommissioning of a 54-acre former rubber plant site in Hythe, Southampton, demolishing the 9-storey Old Control Tower at Heathrow Airport, down to the demolition of a set of seven garages in Southampton, all in recent years. Hughes and Salvidge is part of the demolition group which also contains Aasvogel Waste Management and Valley Trading Waste Management, K&B Crushers and H&S Metals. The group of companies complement each other and have a shared goal in minimising the burden to landfill when removing materials from our sites. Typical arisings that we recycle are Brick, Concrete and Blockwork, Tarmac, Timber, Plasterboard, Glass, Paper and Cardboard, Plastics and Lighting Tubes. We strive to maximise the recycling potential of demolition arisings, typically achieving over 95%, by maximising recycling and minimising waste generation. Recycling quantities and prices are considered when estimating a project and these are included within the submission price to the client. Volume and varying scrap metal prices would therefore affect our estimate. Using our sister companies provides the client with a complete cost effective solution. 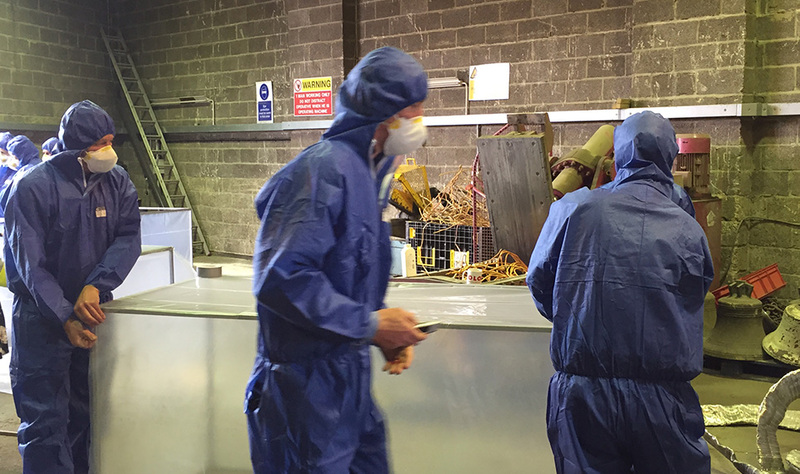 Hazardous materials such as asbestos are typically identified prior to project commencement with an asbestos survey and are priced accordingly. However, hazardous materials can, on occasion, lay undiscovered until the project has already begun, leading to additional costs. Within the majority of projects, there are credit values. These include ferrous and non-ferrous metals, timber, brick, slates/tiles and other possible salvage items. The location of a project can vary the estimated cost. A city centre location has the potential for tight access to a site, as well as needing protection for nearby buildings and the general public. It is more likely, in a built-up area, that scaffolding along pedestrian routes and liaison with the local community are needed. We are experienced in working on ‘live’ sites, that can require specific precautions and access routes, and have completed works adjacent to schools, live railway lines, motorways, and within and near to airports. The protection of existing services, substations and remaining buildings can also arise on projects. All of which is taken into account when providing an estimation. We have completed projects for some high-profile clients over the last 50 years, including Ford, the Ministry of Defence, Barratt Homes, the Homes and Communities Agency, Councils and Universities across the country, the Welsh Government and Shell. All clients have requirements on individual projects to ensure the works, as a whole, are completed on time, on budget and to a high standard. We ensure that these essential points are considered right from the start of our relationship. For more information, see our demolition service page. Or, if you are looking for a demolition contractor, then contact us for a quote.